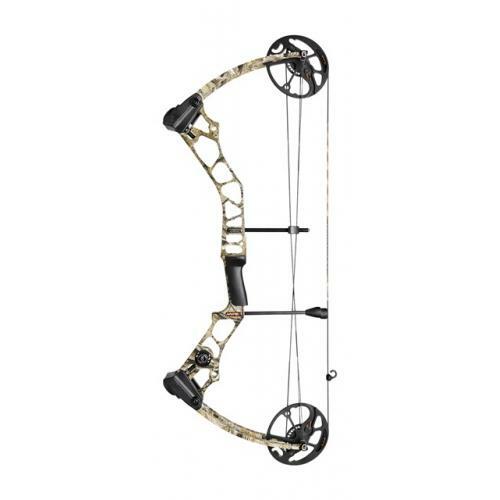 Mathews Hype Compound bow Mission Hype compound bow Archery Supplies Australia's largest and Best Archery Equipment warehouse. The Hype™ DT offers power and accuracy traditionally found in higher priced bows. Featuring the F.I.T. (Focused Inertia Technology) Cam System, the Hype™ DT flexibly reaches draw lengths of 19-30 inches and over 55 pounds of draw weight adjustment without the need of a bow press. The ergonomic riser and grip design creates an accurate and stable shooting platform off the balanced 31” axle-to-axle length. Proudly made in America and featuring a Lifetime Warranty, the Hype™ DT (Damping Technology) comes standard with a Dead End String Stop and Mathews® Harmonic Stabilizer®.